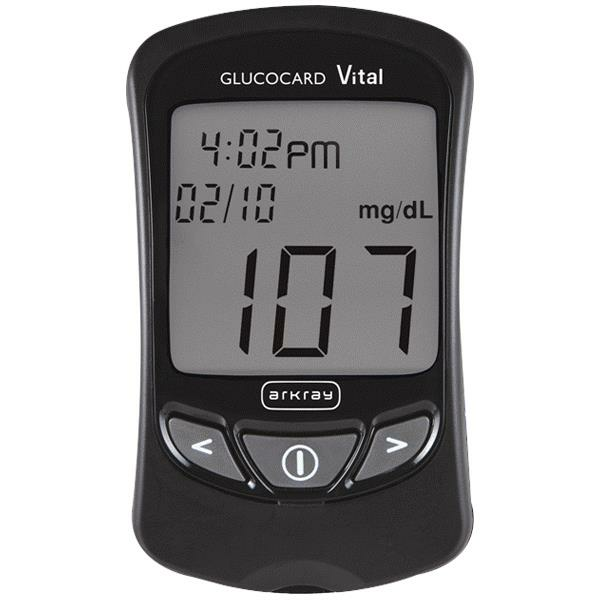 Arkray USA GlucoCard Vital Blood Glucose Meter is fast and accurate meter that makes blood glucose monitoring easy. It requires a small blood sample size in test strip platform to give accurate results in as little as seven seconds. This auto coded blood glucose meter has a 250-test memory to help keep track of vitals. how do I get log books for the glucocard vital test meter? see if it works for you. Let us know if we can be of further assistance.